We are making extra spars to be stowed on deck. 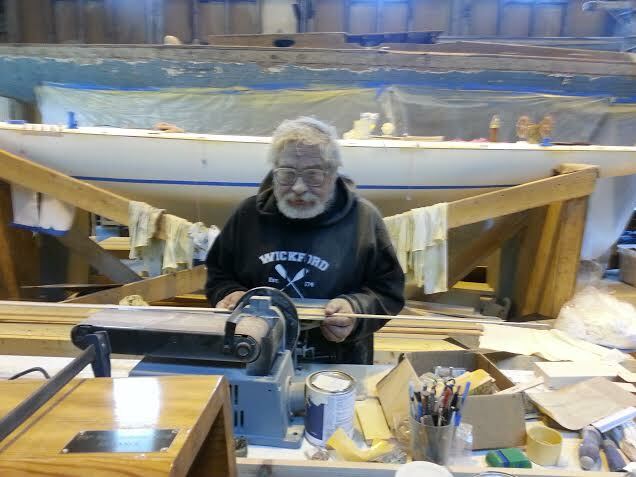 Here Steve Siok, our little dust bunny, is fashioning the sides of the #2 club topsail club. This entry was posted in Project Manager's Welcome and tagged deck, RELIANCE, spars, Steve Siok, stowed, topsail club on April 17, 2014 by Herreshoff Marine Museum/America's Cup Hall of Fame.